It’s the key to progress in practically every human endeavor and it helps people to help themselves and the earth. What made you decide to get into education as a career? I was inspired by great teachers in my school and family. What did you do before you became the ALC Director? I was the Program Coordinator of an adult education program in the United Arab Emirates with the Higher Colleges of Technology. A good teacher, in my view, genuinely cares for his/her students, is knowledgeable, unselfish, passionate, enthusiastic, and constantly wants to improve his/her teaching practice to bring the joy of learning to others. 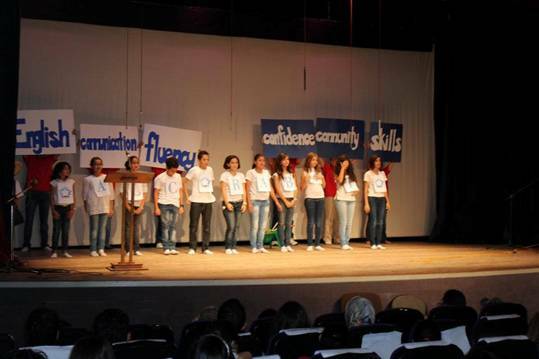 What qualities do you think make a good language learner? I think a good language learner must be strongly motivated, first of all, to learn the language. It also helps to be willing to experiment, to have a good sense of humor, to make mistakes and learn from them, to be disciplined, and be able to have fun and enjoy the process. In your time at the ALC, what are you most proud of? I am thankful for having had the opportunity to work with such a dedicated group of colleagues. They display professionalism and heart every day in their efforts to serve our learning community. What are you planning to do after leaving the ALC and Morocco? 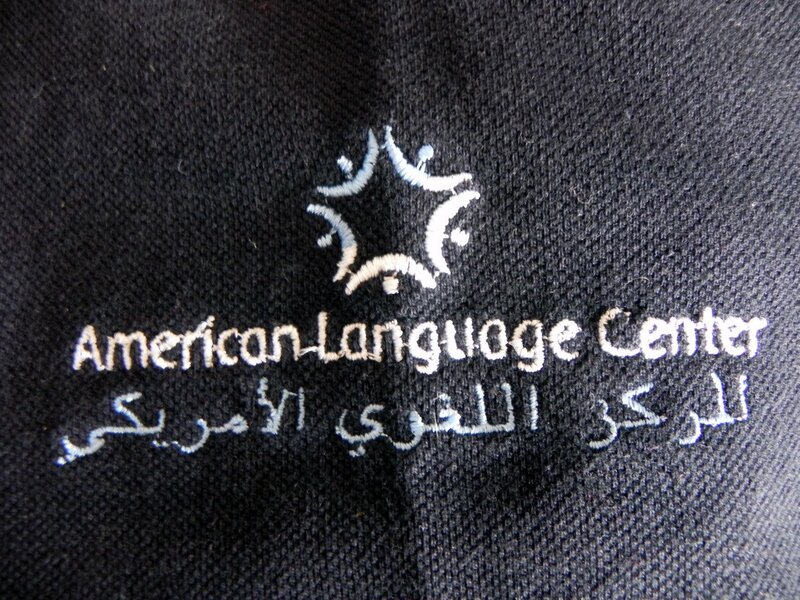 I will be an administrator at the American International School of Riyadh, Saudi Arabia. If you come back to visit in 5 years, what do you hope will be different/the same about the ALC? I hope to see most of my dear colleagues here, and I hope the ALC is in a new building with a beautiful garden and cafeteria. Where else in the world have you lived? Florida, Colorado, New Jersey, Alabama, Ohio (USA), Tunisia, South Korea, U.A.E. If you could change your job career or educational field, what would you want to be? I’d be a professional snowboarder and classical guitar player who travels the world and raises money to preserve our environment. If you could choose one of your personality traits to pass on to your child, what would it be? Try to listen more and speak less. Place of birth: Auburn, Alabama, U.S.A. Learn about new cultures by being a Host Family! By becoming a Host Family, you can experience the pleasure of offering hospitality and experience learning about new cultures. If you live near the ALC and are interested in providing accommodation to people from other countries while earning some extra money, please contact the ALC reception. Thank you. Guest speaker to speak at Mega Mall, sponsored by the American International Women’s Association. Please Check the attached for details. The nature of human beings has made communication a must for survival. Today, it is crucial, as globalization is increasing. With the recent influx of information, all countries need an efficient telecommunications system to reinforce their businesses, industries and trade. It’s necessary to lead the stock market and run the world. Into these circumstances, “Maroc Telecom” was born. It was a revolution. It made it possible for Morocco to have success in the Euro-Mediterranean challenge and to attract more investments. They have become the leading telecommunications company in Morocco. How did Maroc Telecom do it and how do the CEO’s strategies affect the company and its employees? The history of Maroc Telecom begins in 1999, when the ONPT (The National Office of Post and Telegraph) was divided into two separate entities, “Maroc Telecom” and “Morocco Post.” Over the next few years, Maroc Telecom grew by purchasing smaller companies and attracting investment. In 1999, they acquired 80% of Casanet’s stock. In 2001, they acquired 54% of the Mauritanian-based telecommunications company Mauritel. That same year, the French telecommunications company Vivendi bought 35% of Maroc Telecom’s stock. By 2003, Maroc Telecom had increased the annual business of Casanet by 200%. The next year, the company went public by offering a portion of its shares on the Casablanca Stock Exchange and the Paris Stock Exchange. This allowed Vivendi to increase its stake to 51% of Maroc Telecom’s capital. Since then, Maroc Telecom has continued to expand and in 2011 was named the 88th most innovative company by Forbes magazine. Employment in big telecommunications companies is very stressful work. Yet Maroc Telecom respects and supports their employees. The CEO made them love their work as the numbers were increasing. Maroc Telecom’s success is due to its laborious, creative and innovative employees. “Maroc Telecom is an organizational and managerial model which grew through well-defined processes, procedures and, also, a management structure suited to some 11,000 employees” he says. The CEO he mentions is Maroc Telecom CEO and Chairman Abdeslam Ahizoune. With an annual income of €1.45 million, Ahizoune is the highest paid CEO in Morocco. He was born in 1955 in Khemissat and graduated from Télécom ParisTech in 1977. In 1995, he was named Chairman of the ONPT and, in 1997, Minister of Post and Telecommunications. Four years later, he became CEO of Maroc Telecom. Since then, he has raised Maroc Telecom investments by 32.2 billion MAD. Moreover, Maroc Telecom has raised the number of its holdings in Mauritania, Mali, Burkina Faso and Gabon by 9.7%. On December 26th, Abdeslam Ahizoune was among the ten finalists for the Best Manager of the Year award chosen from 3,000 business leaders from 40 countries. Although Maroc Telecom benefited from a monopoly and lack of competition, Ahizoune’s hard-work and determination helped them succeed even more. 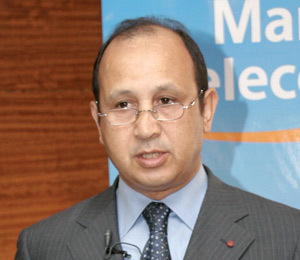 Maroc Telecom is a valuable part of Morocco. It has contributed to the boom in the national telecommunications industry. Thanks to Abdeslam Ahizoune and his clever managerial strategy, Morocco has profited in the Euro-Mediterranean challenge by making Morocco the land of opportunities and investments.